Our 12 days of Christmas giveaway begins! 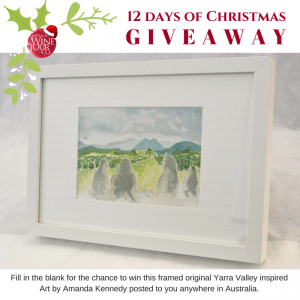 - Australian Wine Tour Co.
Home>Blog>Aust Wine Tour Co news>Our 12 days of Christmas giveaway begins! Our 12 days of Christmas countdown giveaway begins! 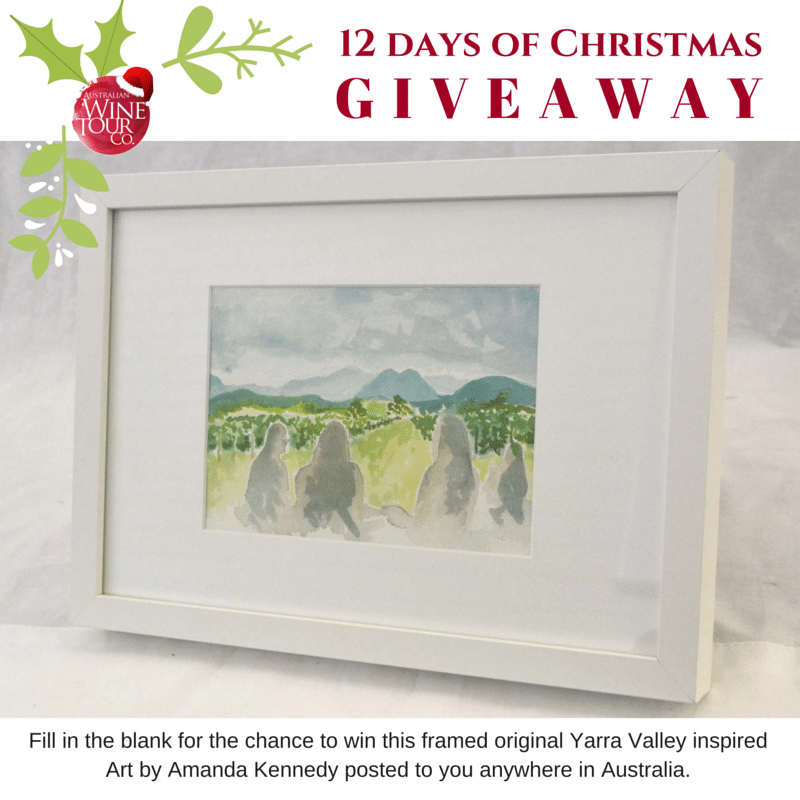 We have 12 wonderful pieces of Yarra Valley inspired original Art by Amanda Kennedy to give away every day. All pieces are beautifully framed and valued at over $100 each and will be posted to you anywhere in Australia. Simply fill in the blank on our Facebook posts daily, and AWTC owner Matt will pick his favourite answer. Have a browse through the gallery to see all the artworks you could win. Artwork is a framed, original watercolour artwork valued at $100 each and can not be exchanged for any other prize or cash. We will only post to addresses in Australia, or you can pick up from our office. The winner of each post will be chosen after the end of the 12 days, and the winners will be announced on the 22nd and 23rd of December via Facebook. It is a game of skill, not chance and the winners are chosen at the company’s discretion. Any prizes not claimed within one month of being announced will be forfeited.